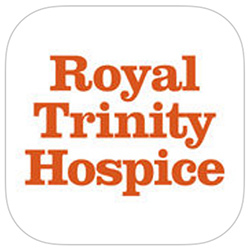 Royal Trinity Hospice in south London has developed an app to help patients and carers navigate palliative care and access the support available to them. Divided into five sections, including symptoms, medications and services, the app was developed after patients and carers reported difficulties knowing where to go for support. The ‘my wishes’ section helps patients consider crucial end of life issues, such as where they would prefer to be cared for, what treatments they would be willing to receive, and their preferred place to die. The groups section outlines events run at the hospice and allows patients and carers to book a place. The contacts section lists details for nurse teams as well as the befriending service, bereavement team and outpatient groups. Though limited to patients and carers at this hospice, the app is a great idea that’s well developed, and health professionals may refer patients and carers to it. An Android version is in development.